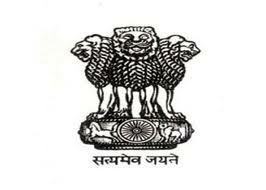 Panchayati Raj 3rd grade teacher level 1st exam result declare today (26 June 2012 ). Rajasthan Panchayati Raj 3rd Grade Examination was conducted in following region like Jaipur, Ajmer, Udaipur, Jodhpur, Kota Bhilwara Banswara, Alwar, Baran, Barmer, Bharatpur, Bikaner, Bundi, Chittorgarh, huru Dausa, Rajsamand, Sawai Madhopur, Sikar, Sirohi, Sri Ganganagar, Dholpur, Dungarpur, Hanumangarh, Jaisalmer, Jalor, Jhalawar, Jhunjhunu, Karauli, Nagaur, Pali, Pratapgarh and Tonk. and that’s results announced today on below given links. The Panchayati Raj department, Rajasthan has declared the Rajasthan 3rd grade teacher results.